Coyotes (canis latrans) are remarkably adaptive and resilient. Before colonial times they resided mostly in the North American west; their range, however, has increased to include almost the entire continent, perhaps in part due to human-induced changes in habitat and the near-eradication of wolves. They have expanded their range even when faced with persistent persecution from ranchers and federal wildlife officials -- whose lethal methods of controlling coyote populations, according to research by WildEarth Guardians, are ineffective in the long-term, often resulting in rebounding populations or coyotes from surrounding areas taking up residence where others have been exterminated. But is this representative of interactions between coyotes and humans living in close proximity? A different picture appears in Chicago, the site of the world’s largest study of coyotes in an urban setting. This study shows how coyotes exploit the city’s landscape and patterns of human-coyote interactions -- and that, despite the perception of coyotes that some media accounts may foster, humans and coyotes can coexist. 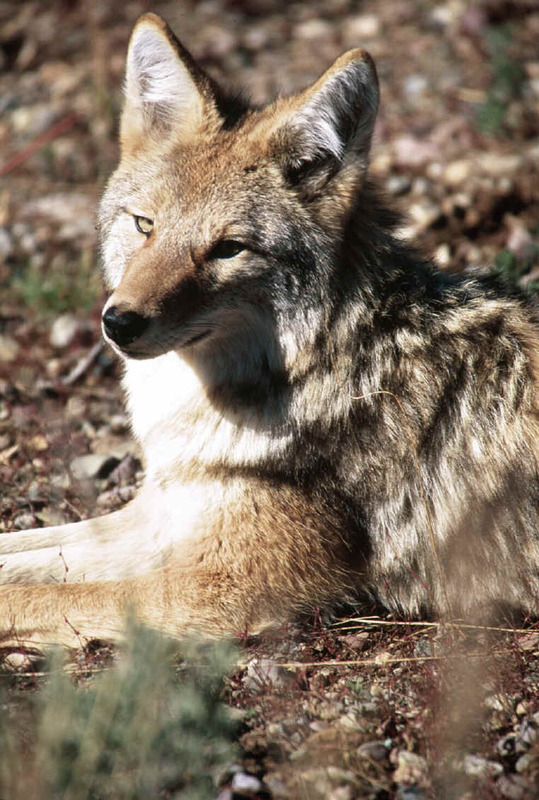 The research team found that coyotes took steps to avoid humans. They moved mainly at night, presumably so as to not cross paths with people. Coyotes in their territories clearly preferred natural habitat and avoided regions associated with humans: the residential and developed areas, and managed grass lands. This tendency to shy away from human areas even occurred amongst those coyotes whose territories consisted mostly of developed areas, and was unaffected by breeding or pup-rearing season. There were some negative human-coyote interactions in the Chicago study, but these were exceptions to the rule. Of the 181 coyotes studied, only 7 (4%) became a “nuisance” to the human public, with one identified as attacking and killing domesticated animals. There were no instances of coyote attacks on people. What could account for the difference between the two locations? Perhaps the explanation lies in the intentional or unintentional feeding of coyotes by humans. The diet of coyotes residing in Southern California, the site of the highest concentration of coyote attacks, has been shown to comprise up to 25% human food, as compared to Chicago where no attacks to date have occurred and food provided by humans comprises less than 2% of the coyote’s diet. In the case of the only fatal coyote attack in the United States, the child’s parents and neighbors were purposefully feeding coyotes before the tragic incident. Feeding coyotes can cause them to become uncharacteristically assertive, as they associate human communities with food; as they venture further and more frequently into these places, their natural fear of humans wanes. This can eventually result in attacks like those in Southern California. The food-aggression relationship indicates that we need to examine not just coyote behavior, but also our own. For decades, attempts to control coyote populations through trapping and killing have been futile; they have been and continue to be an appalling violation of coyotes’ need to live free. A new, ethically and scientifically sound strategy is required -- one that focuses not on controlling free-living animals, but on empowering people to respect them. This can be achieved, in part, through showing the public that attracting these animals puts both humans and coyotes in danger. Education and outreach designed to inform the public about the role of feeding in coyote attacks is an integral part of coexistence programs already in place and those currently being developed. Coyote education campaigns can demonstrate practical ways to avoid unwanted incidents -- by, for example, making coyote deterrents using household items. The Pennsylvania chapter of Friends of Animals has just introduced the Coyote Coexistence Initiative. This is an outgrowth of the litigation carried out with Denver University on behalf of plaintiffs Friends of Animals and Compassion for Animals - Respect for the Environment (CARE) over Valley Forge National Historical Park’s plan to slaughter most of the park’s white-tailed deer, then manage the survivors with pharmaceutical birth control. One of the arguments our groups levied against that plan is that the park did not adequately consider the role of natural predators (specifically the coyotes who had been seen in the park) in maintaining a stable deer population. The Pennsylvania chapter’s Coyote Coexistence Initiative will support the plaintiffs’ efforts to have Valley Forge Park’s deer kill plan permanently set aside. The new initiative synthesizes Friends of Animals’ tradition of opposing hunting and predator control with scientific evidence pertaining to coyote behavior and ecology, thereby fostering respect for coyotes in Pennsylvania so that these animals may live on their terms. Our campaign will promote respect for coyotes as conscious beings, and educate people about the role of coyotes in the local ecology and how communities can support alternatives to the lethal management of coyotes. In Pennsylvania today, coyotes can be hunted year round with no limit to the number killed. This practice is ethically indefensible, ecologically reckless and fiscally irresponsible. Friends of Animals - Pennsylvania has started a petition to persuade members of the state legislature to abolish the hunting of coyotes. Please consider signing our petition and raising others’ awareness. E-mail [email protected] to request a copy of our brochure or to ask us any coyote questions. We must be proactive in order to live in harmony with wildlife. Vigorous public outreach showing how humans contribute to conflicts with other animals is vital to coexistence. Viewing our own conduct as the focus of such efforts, we can be empowered to let go of our dominion over free-living animals, and let them truly live free. M.E. Gompper, “The Ecology of Northeast Coyotes: Current knowledge and priorities for future research” - Wildlife Conservation Society Working Paper (2002). See A. Newman, “It’s Raining Coyotes and Roosters Out There” – City Room Blog, New York Times (21 Jan. 2010) and National Park Service, “Presidio of San Francisco: Coyote”; available: http://www.nps.gov/prsf/naturescience/coyote.htm. The research referred to in this section notably include work published by Stanley D. Gehrt and Lynsey A. White .